It’s no secret that I have a slight candle obsession. I burn them all year round and Christmas is no exception. Bath & Body Works has some amazing scents and when there’s a deal, I can’t help myself! 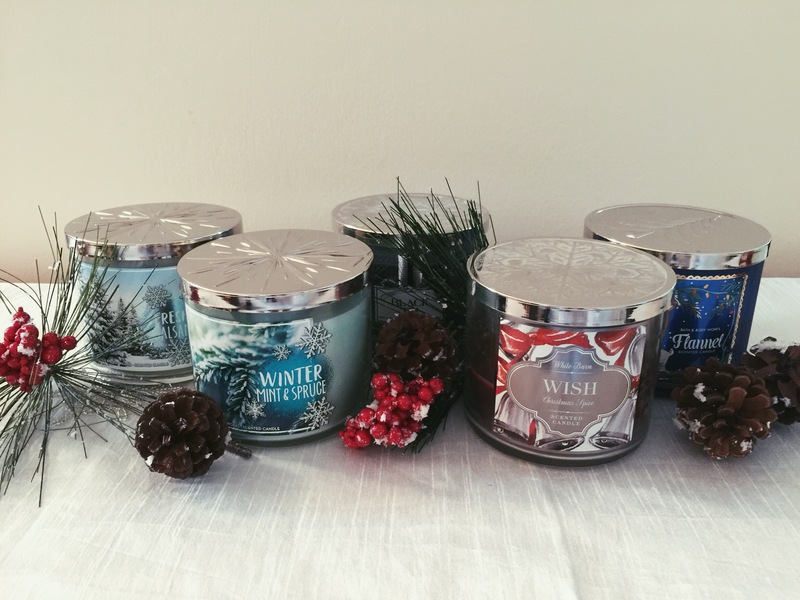 So, here are some candles I’m loving this holiday season. We have a fake tree this year, so this one was a must have. Smells just like a Christmas tree and that’s exactly what I needed and wanted. If you can’t have the real thing, this candle is the next best! Mint and spruce? I’m in. I really like this one a lot, but then again, anything with mint is good in my book. The mint compliments the spruce tree scent in a wonderful way and makes the house smell clean and fresh. This one smells like cologne in the best way possible. I really like a candle with sandalwood in it. It’s a lovely masculine scent that’s not overwhelming. At any given time I have a few of these on hand, I recommend giving it a try! This one I got last year, it smells just like the holidays. With cinnamon stick, ground cloves, and nutmeg you can’t really go wrong. Such a classic Christmas scent, the house always smells so warm and inviting when I have this lit. I’m obsessed with this one. It’s another masculine smell, but it’s a bit lighter than Black Tie. It’s kind of a really perfect blend between being slightly more manly, but still feminine enough to be a nice, light scent. 10/10 would recommend. What’s your favorite holiday candle? Great post !!! I’m currently loving Champagne Toast, ‘Tis the Season and salted caramel !! Thanks girl! Those sound lovely!! I love their candles, smell great & burn really well! I’ve been tempted so many times to try the tarts, but there’s just something I love about a flickering candle flame! Maybe I’ll try the tarts out, thanks!